By 2015 more than one tonne of plastic had been produced globally for every person alive today. We each use an average 53 kgs of plastic a year and generate more than 300 million tonnes of plastic waste. This is predicted to double by 2030 and our oceans will cop the brunt of it. It’s not that plastic is bad. 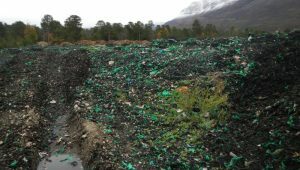 It’s the way we’ve managed it and converted it into single-use, disposable items that’s made an innovative resource into an environmental disaster. Dumping 2.5 million tonnes of plastic waste into Australian landfills like we did in 2016-17 doesn’t stop it from impacting the environment. Only 12% of plastic waste was recycled in Australia during that year. In fact, no plastic should be sent to landfill because it’s a waste of a valuable resource. We need to stop creating waste in the first place and maintain resources at their highest value. Only 3% of plastic bags are being recycled in Australia and the rest are going into landfill or, even worse, entering the environment. While plastic is cheap to produce, it’s expensive to recycle. In most cases plastic can only be revamped once into another item like a plumbing pipe or a plastic bench before it becomes landfill. Did you know Australians are the second highest producers of waste per person in the world (after the USA) with each of us sending over 690 kgs of waste to landfill annually? The amount of rubbish sent to landfill each year in Australia is enough to cover the state of Victoria! We can’t carry on as we are – something has to change. We need to find more effective ways of doing things. Instead of working in a linear economy where goods are designed for disposal, we need to create products that maintain resources at their highest value. The sustainability community calls waste “a design flaw”. With creativity and innovation we can redesign things. We can make the goods of today the resources of tomorrow. For example, food and garden waste can be recycled into compost to fertilise farms, gardens, parks and sporting fields, as well as mulch to protect against weeds, reduce plant stress and save water in gardens, parks, orchards and vineyards. Organic waste is the single largest component of waste that goes to landfill in Australia. Organics contains valuable resources that can’t be recovered from landfill, yet that’s where 87% of Australia’s food waste ends up. We need to recycle organic waste to fertilise Australian soil instead of dumping it in landfills where it contributes to climate change by producing harmful greenhouse gases. 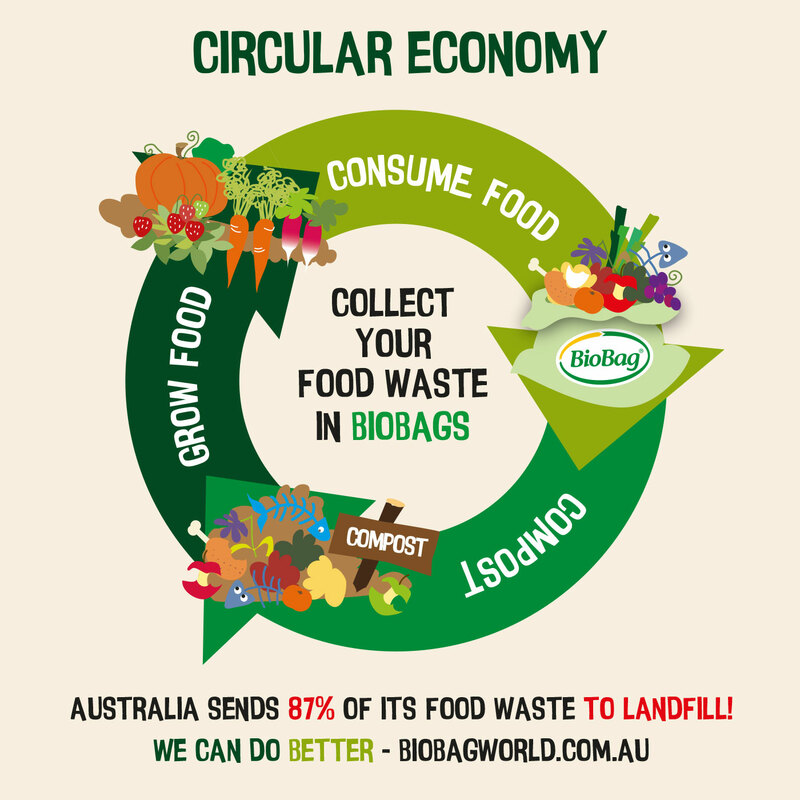 BioBags are designed to fit within a circular economy because they can be used to buy fresh food and collect food scraps, then be recycled with food waste to become nutrient rich soil fertiliser to grow more food.